Richard Irwin (Belper, United Kingdom) on 26 February 2009 in Plant & Nature. Yesterdays snowdrops picture were taken growing wild in the woods last weekend. This close-up was of some that are in my garden at home, and they are flowering everywhere at present. I think it's interesting that last year I posted images from the same spot in the garden in early February, so the recent cold spell must have put them back by several weeks. Nice close up. Those flowers really are pretty. It won't be long now before the daffodils are up. 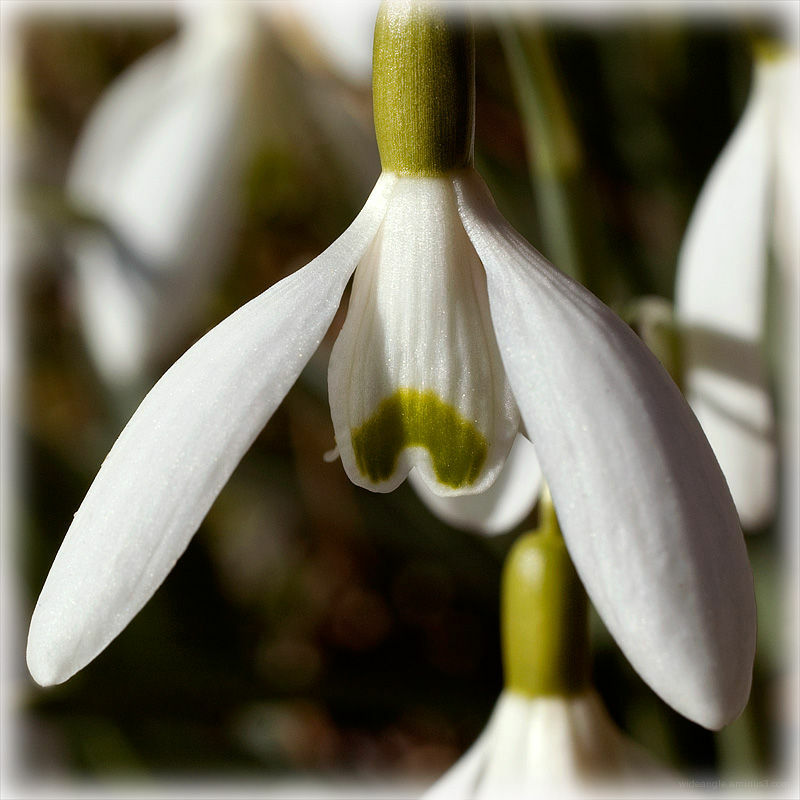 A nice close-up of the snowdrop. Fantastic images in your blog, I like the variety and quality of your photos. A wonderful light who shows well to advantage the watered texture of petals. Spring is there soon, what a pleasure !!! Beautiful light! Exceptional closeup, wonderful colors! wow,this is beautiful and lovely shot...excellent captured with amazing macro focuses !!! so beautiful, excellent close up, I can even see plant sparkles! Lovely macro shot,spring is here !! Fantastic close up. If yesterday's photo was already magnificent, today's photo is magnificent. Beautiful and what a definition! Superb. We can see the fine texture of the flower. awesome macro with such great detail! Great macro. The detail is exquisite. Beautiful details in this shot Richard. Both shots are wonderful. It's wonderful to see something blooming! This is so fresh and crisp.